When I received your letter of the 22nd July, I had set out to Amsterdam for the purpose of publishing the book I had mentioned to you. While I was negotiating, a rumor gained currency that I had in the press a book concerning God, wherein I endeavored to show that there is no God. This report was believed by many. Hence certain theologians, perhaps the authors of the rumor, took occasion to complain of me before the prince and the magistrates; moreover, the stupid Cartesians, being suspected of favoring me, endeavored to remove the aspersion by abusing everywhere my opinions and writings, a course which they still pursue. 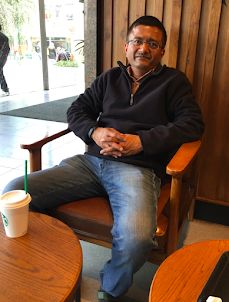 When I became aware of this through trustworthy men, who also assured me that the theologians were everywhere lying in wait for me, I determined to put off publishing till I saw how things were going, and I proposed to inform you of my intentions. But matters seem to get worse and worse, and I am still uncertain what to do. 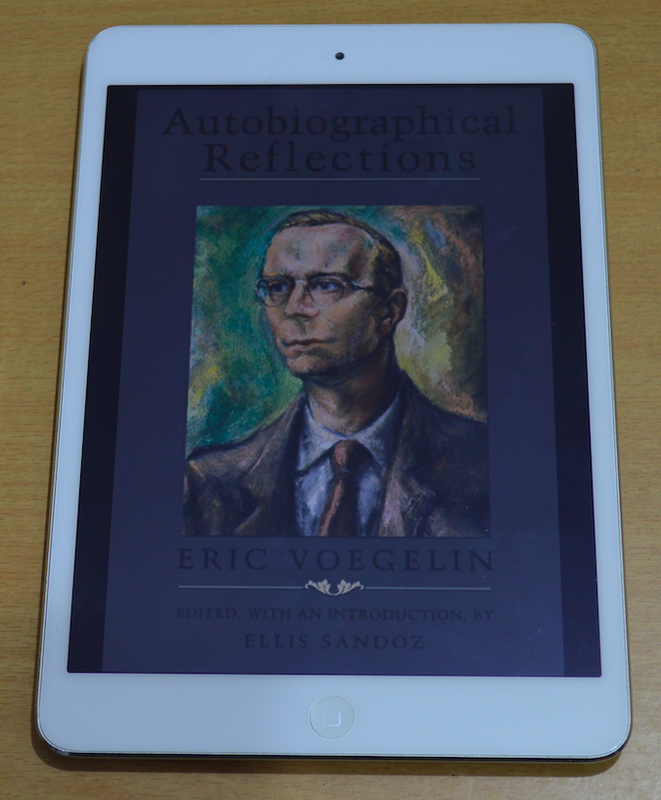 Because it is not a closed system, Voegelin's thought is not an end but a beginning. As was said, it is an avenue of entry into the study of historical particulars. 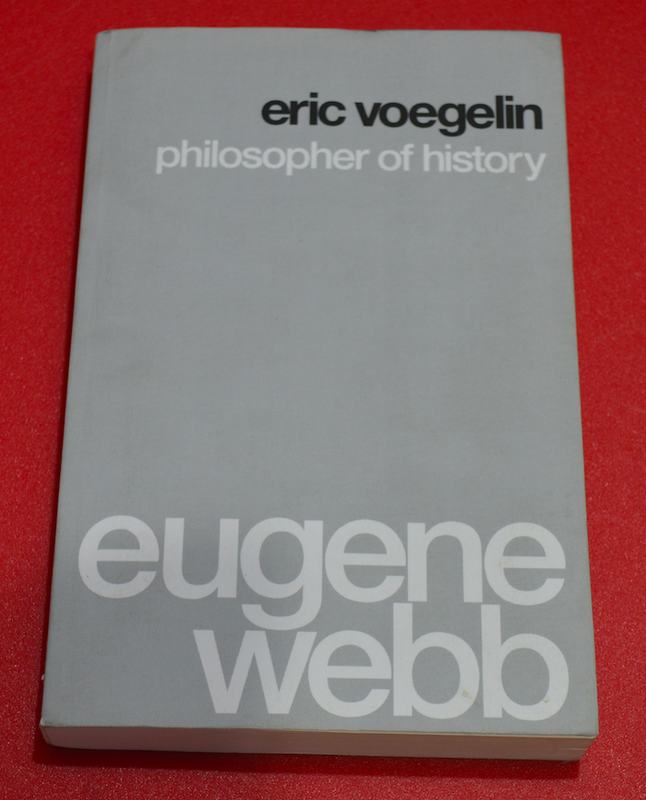 Much of Voegelin’s own writing has been the beginning of such study, but vast as his historical coverage has been—for a single historian—it remains only a beginning. There are important areas of inquiry he has scarcely touched upon, but which can profit greatly from study in the light of his principles. 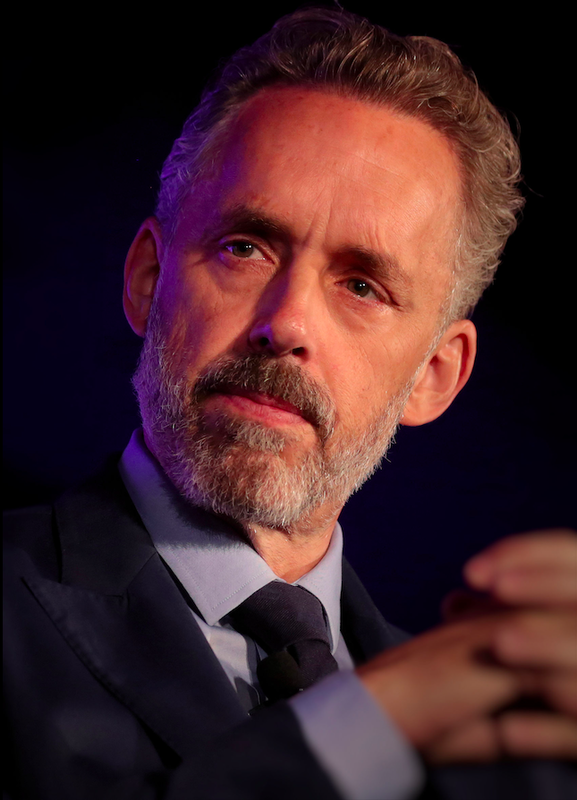 I think Peterson has very good social and political insights. Revolutions have the tendency of unleashing unimaginable monsters and chaos which is why revolutions must be avoided, as far as possible. 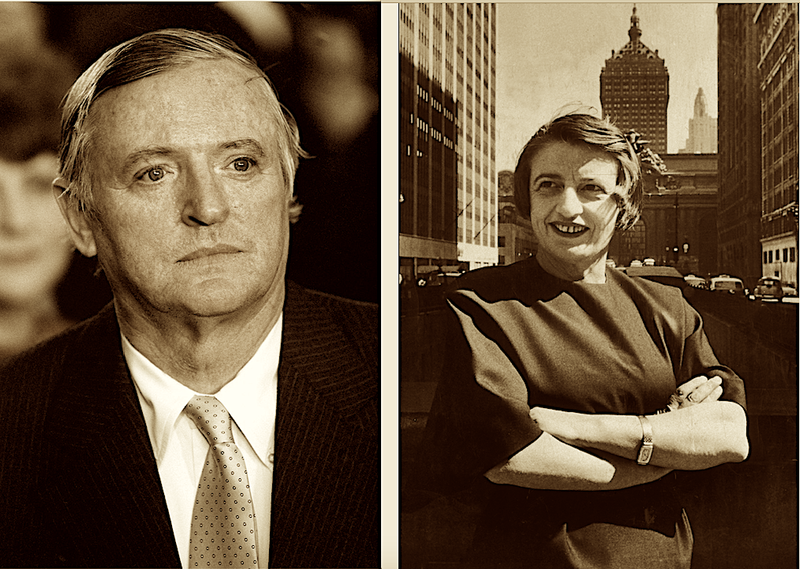 Long’s article will come as a surprise to Rand’s acolytes (the objectivists) who fervently believe that in a Goddess Athena like fashion her philosophy sprouted in a fully formed state from her brow and hence is completely untouched by ideas from any other school of thought. Such an impression was created by Rand herself because she insisted that all her philosophical thoughts were her own. The truth is that all the philosophical ideas that we find in Rand’s novels and essays have been proposed and discussed by several western (and even eastern) thinkers in the past 3000 years. There is not a single original philosophical idea that Rand has proposed—she was primarily a fiction writer and a commentator on cultural issues. Long’s article is worth reading. As the French Revolution extended, stabilized, and legalized the basic tendencies of the ancien régime; as Napoleon, bringing the Revolution to a halt, at the same time brought it to its fruition; so Darwin, dramatizing and bringing to a climax the ideas, sentiments, and conjectures of his age, may be thought of as the hero of a conservative revolution. 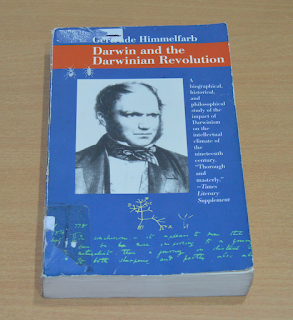 The Darwinian revolution was conservative, first, as a purely scientific affair. The observations on which it was based were largely familiar, the terms of the problem had been stated, even the crucial idea had been in circulation for half a century. And it influenced the practical work of the sciences less than might be supposed, each discipline assuming that its great import was in some other field. The job of the systematists was affected hardly at all, the “natural system” sought before Darwin’s time being the same as that posited by the theory of evolution. Darwinism didn’t prove to be an implacable enemy of religion. 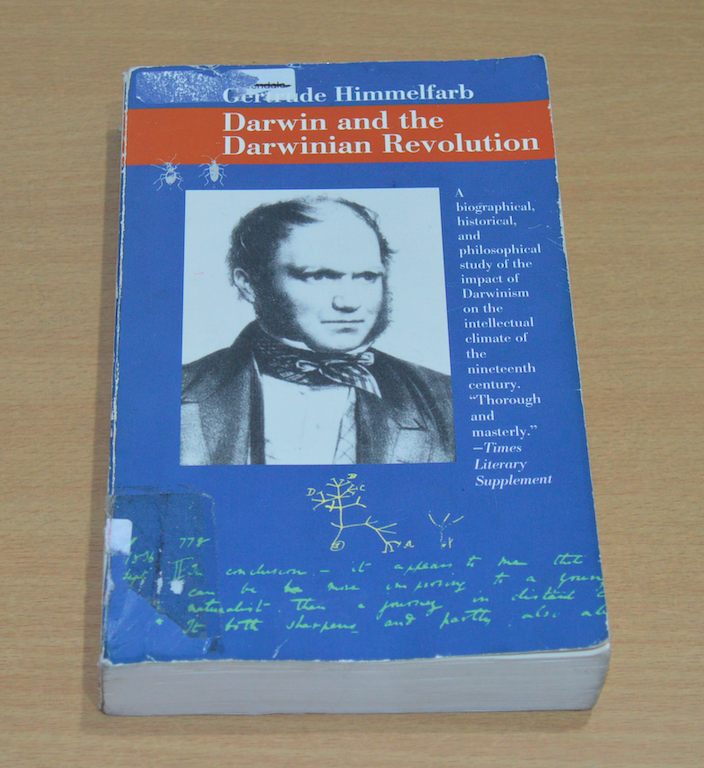 According to Himmelfarb, Darwinism’s impact on religion has been meagre. For Darwinism shared with religion the belief in an objective knowledge of nature. If religion’s belief was based on revelation and Darwinism on science, with good will the two could be—as indeed they were—shown to coincide. The true challenge to orthodox religion came with the denial of the possibility of all objective knowledge, with the skepticism of a Kierkegaard who refused to religion and science alike the claims of knowledge, and forswore the reason of religion equally with the reasons of science. Compared with this radical assertion of an arbitrary, willful faith inaccessible to all reason, the dispute between Darwin and his religious critics was little more than the friendly bickering of old friends. Post-Kant and post-Kierkegaard, Darwinism appears as the citadel of tradition. Darwin’s theory is not without problems, his conclusions are still being contested. His theory is not original—this kind of a theory of evolution was being discussed long before he did his work. But Darwinism has been revolutionary in effect. It has played a double role—it’s at once conservative and revolutionary. Philosophers like Jean-Jacques Rousseau have argued that man can only be happy if he lives in harmony with nature. Matthew Arnold disagreed with this point of view—in his poem, “In Harmony With Nature” (written in the 1840s), he notes that nature is cruel, stubborn, and fickle, and that nature and man can never be fast friends. I think Arnold had a better understanding of man’s relationship with nature than any modern environmentalist. Why was it given to Darwin, less ambitious, less imaginative, and less learned than many of his colleagues, to discover the theory sought after by others so assiduously? How did it come about that one so limited intellectually and insensitive culturally should have devised a theory so massive in structure and sweeping in significance? What were the logic and history of his discovery? Was the new theory inspired by new facts? How did Darwin rise above the antecedents and influences that had shaped him? At what point in his dialectic of discovery did quantity change into quality, the pupil transcend his masters, the past give way to the future? Was Darwin a great revolutionary, and, if so, what was the nature of his revolution? And what was the later history of the discovery? What happened when the old heresy became the new orthodoxy? 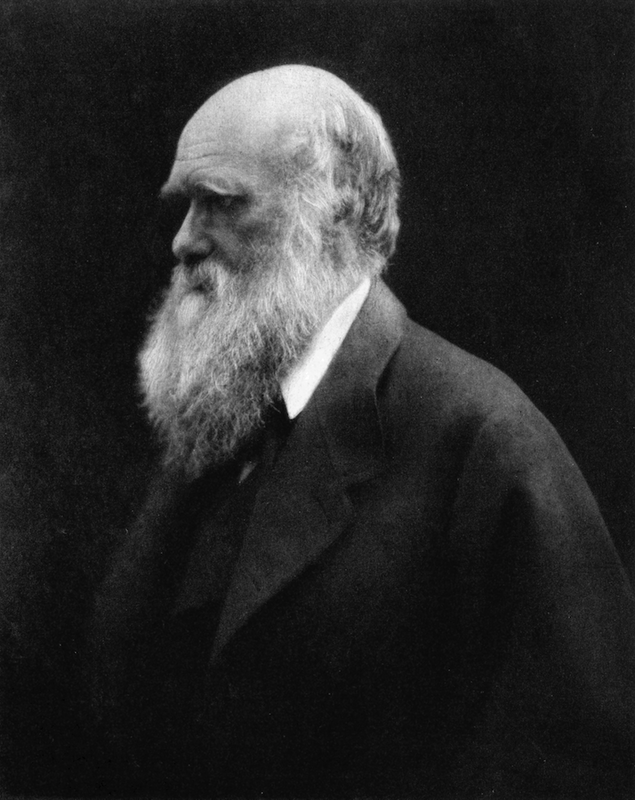 Was Darwinism a legitimate heir of Darwin? By what metamorphosis did a scientific treatise, largely devoted to such abstruse matters as the anatomical variations among different breeds of pigeons, become a metaphysics, politics, and economics? How did it come about that a study of the origin of species could inspire a member of the Austrian Parliament to open a debate on the reconsolidating of the Empire with the words: “The question we have first to consider is whether Charles Darwin is right or no”? All this is fine, but I think that several of the points that Berlin makes in his essay are not clear. He does not offer enough historical evidence and analysis to prove his assertions. This might be correct in a certain context, but what is the evidence from history? I think the case can be made that several of the liberties that people enjoy in a society are being safeguarded by the courts and not by the democratically elected governments. But Berlin does not clarify this point in his essay. 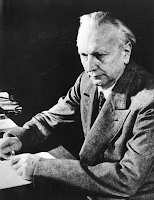 On liberty in a ‘positive’ sense, Berlin says, “It is that liberty in this sense is not incompatible with some kinds of autocracy, or at any rate with the absence of self-government.” This is again a confusing statement. 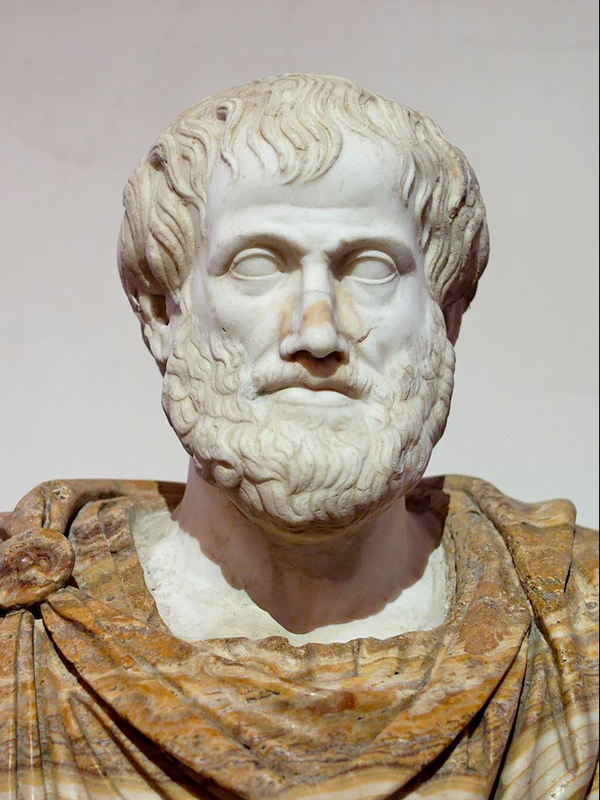 There are philosophers who insist that philosophy determines the course of history, and that politics, science, art, industry, etc., are the applications of philosophical ideas. But there is no evidence to back such a sweeping claim. The research done by the anthropologists show that human beings have gathered much of their knowledge through observation of nature and experience—philosophical knowledge was developed after lot of progress had already been made in other areas of knowledge. 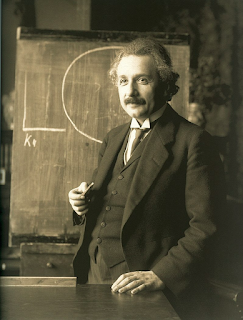 Empirical science is an independent factor in intellectual history; and, in particular, its independence from the development of philosophy must be recognized. Unless one has preconceived ideas about the origin of science, the existence of this factor should not be too surprising; for a more or less extended knowledge of causes and effects in the surrounding world is an ineluctable condition of human survival even on primitive levels of civilization. And wherever this knowledge is intensified through specialization of crafts, the basis for systematic elaboration into an empirical science is present. In all civilizations, Western or Eastern, ancient or medieval, empirical science does not originate in philosophy but in the knowledge of craftsmen. When such a body of empirical knowledge falls into the hands of professional theorists, it may flower into a science if the methods (as, for instance, experimentation and mathematization) are suitable; but, obviously, it also may be ruined if the method is a fashion of fallacious speculation. The craftsmen accumulate their knowledge through experience and observation and that is the root of all empirical science. 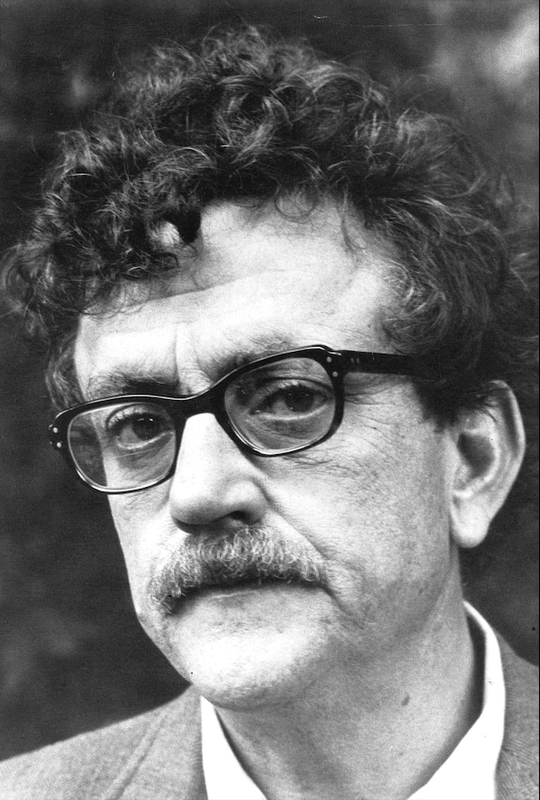 Philosophers are not the creators of scientists—the craftsmen are. But Dr. Rothbard and his merry anarchists wish to live their fanatical antistatism, and the result is a collision between the basic policies they urge and those urged by conservatives who recognize that the state sometimes is the necessary instrument of our proximate deliverance. 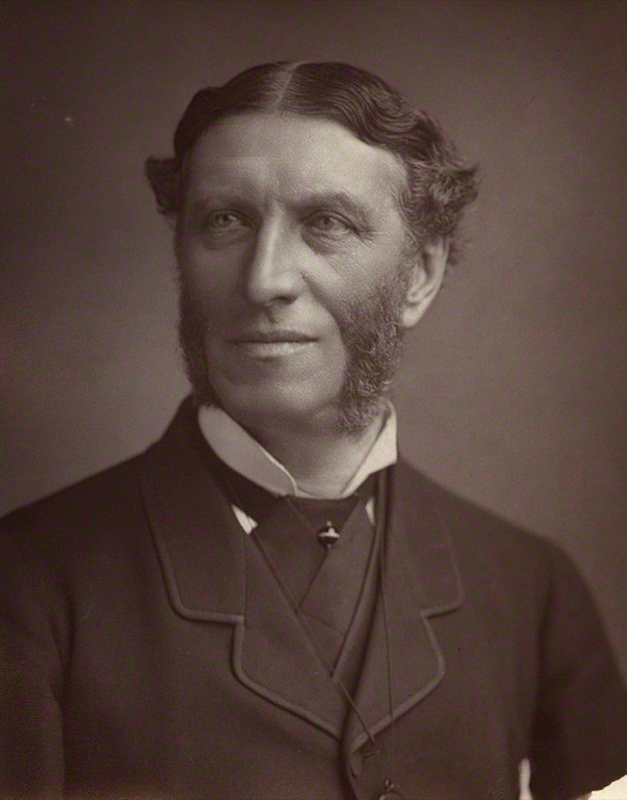 The defensive strategic war in which we have been engaged over a number of years on myriad fronts cannot be prosecuted by voluntary associations of soldiers and scientists and diplomats and strategists, and when this obtrusive fact enters into the reckonings of our state-haters, the majority, sighing, yield to reality, whereas the small minority, obsessed by their antagonism to the state, refuse to give it even the powers necessary to safeguard the community. "would not be illegal in the free society. For blackmail is the receipt of money in exchange for the service of not publicizing certain information about the other person. No violence or threat of violence to person or property is involved." . . . 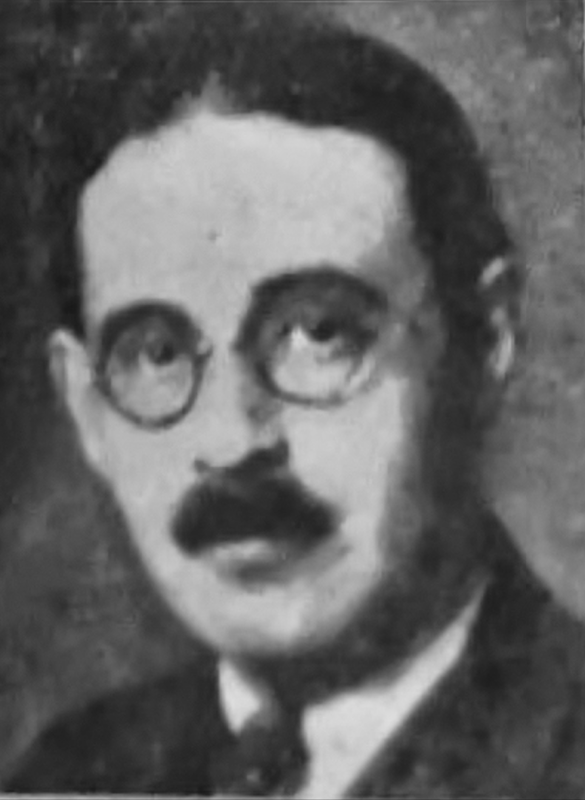 When Rothbard [Mr. Hazlitt comments] wanders out of the strictly economic realm, in which his scholarship is so rich and his reasoning so rigorous, he is misled by his epistemological doctrine of "extreme apriorism" into trying to substitute his own instant jurisprudence for the common law principles built up through generations of human experience. "Extreme apriorism"—a generic bullseye. If National Review's experience is central to the growth of contemporary conservatism, extreme apriorists will find it difficult to work with conservatives except as occasional volunteers helping to storm specific objectives. They will not be a part of the standing army, rejecting as they do the burden of reality in the name of a virginal antistatism. 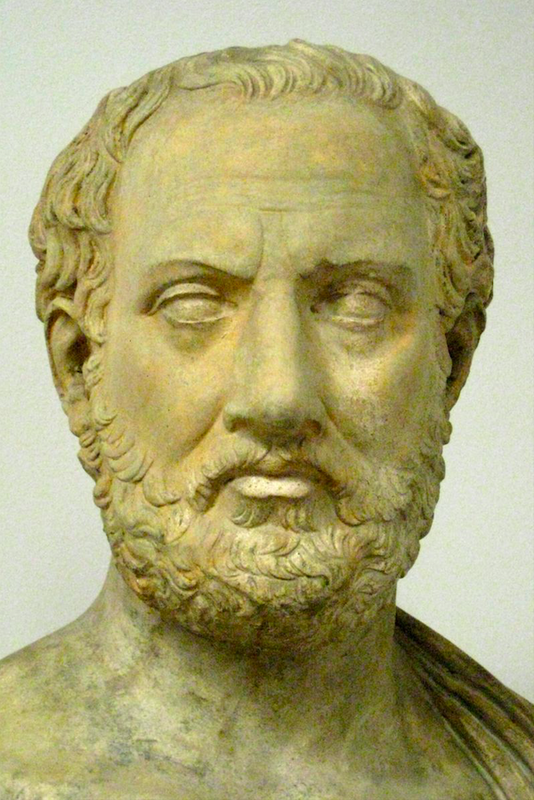 At this point we touch the limit of Thucydides’ achievement. It is worthwhile to compare his difficulty with the similar one of Machiavelli. 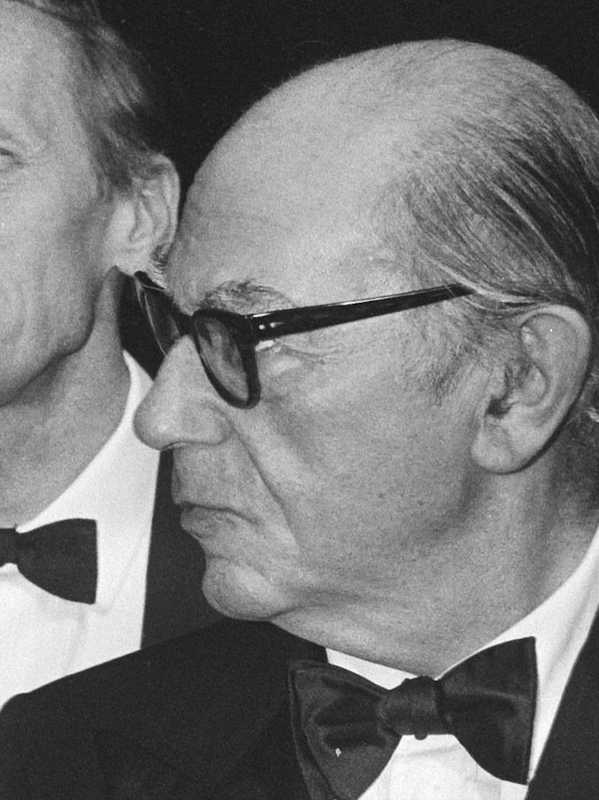 Both thinkers were sensitive to the dilemma of power and morality, both were resigned to the necessity of criminal means for what they considered a desirable end. But Machiavelli was supremely conscious that the Prince could realize no more than external order, while genuine order had to be instilled into the community by a spiritual reformer. Thucydides, while moving on the same level of political action as Machiavelli, apparently had no conception of an alternative to his Periclean prince—for which he can hardly be blamed, since he did not have the experience of prototypical saviors which Machiavelli had. This absence of a spiritual reforming personality not only from the reality of Athens, but even from the imagination of a Thucydides, shows clearly that an age of political culture had irrevocably come to its end. The time of the polis was running out; a new epoch of order began with Socrates and Plato. Voegelin points out that the critical study of the war between Peloponnesians and Athenians, which we now know as the History of the Peloponnesian War, was inscribed by Thucydides simply as “Syngraphe,” a word that can best be translated by the slang “write-up”. Kurt Vonnegut’s short story Harrison Bergeron has around 2300 words but it gives an explicit account of an egalitarian society where everyone is fully equal and barred by the constitution from being smarter, better-looking, or more physically able than anyone else. In this dystopian world all values have been sacrificed in the name of “equality.” The exceptionally gifted have either been eliminated or are being controlled via technology. It was tragic, all right, but George and Hazel couldn't think about it very hard. Hazel had a perfectly average intelligence, which meant she couldn’t think about anything except in short bursts. And George, while his intelligence was way above normal, had a little mental handicap radio in his ear. He was required by law to wear it at all times. It was tuned to a government transmitter. Every twenty seconds or so, the transmitter would send out some sharp noise to keep people like George from taking unfair advantage of their brains. 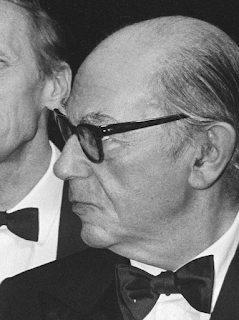 "It is extremely difficult to engage in a critical discussion of National Socialist ideas, as I found out when I gave my semester course on “Hitler and the Germans” in 1964 in Munich, because in National Socialist and related documents we are still further below the level on which rational argument is possible than in the case of Hegel and Marx. 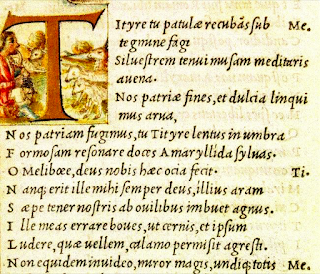 In order to deal with rhetoric of this type, one must first develop a philosophy of language, going into the problems of symbolization on the basis of the philosophers’ experience of humanity and of the perversion of such symbols on the vulgarian level by people who are utterly unable to read a philosopher’s work. A person on this level—which I characterize as the vulgarian and, so far as it becomes socially relevant, as the ochlocratic level—again, is not admissible to the position of a partner in discussion but can only be an object of scientific research. These vulgarian and ochlocratic problems must not be taken lightly; one cannot simply not take notice of them. They are serious problems of life and death because the vulgarians create and dominate the intellectual climate in which the rise to power of figures like Hitler is possible. I would say, therefore, that in the German case the destroyers of the German language on the literary and journalistic level, characterized and analyzed over more than thirty years by Karl Kraus in the volumes of Die Fackel, were the true criminals who were guilty of the National Socialist atrocities, which were possible only when the social environment had been so destroyed by the vulgarians that a person who was truly representative of this vulgarian spirit could rise to power." "The phenomenon of Hitler is not exhausted by his person. His success must be understood in the context of an intellectually or morally ruined society in which personalities who otherwise would be grotesque, marginal figures can come to public power because they superbly represent the people who admire them. This internal destruction of a society was not finished with the Allied victory over the German armies in World War II but still goes on. I should say that the contemporary destruction of German intellectual life, and especially the destruction of the universities, is the aftermath of the destruction that brought Hitler to power and of the destruction worked under his regime. There is yet no end in sight so far as the disintegration of society is concerned, and consequences that may surprise are possible. The study of this period by Karl Kraus, and especially his astute analysis of the dirty detail (that part of it that Hannah Arendt has called the “banality of evil”), is still of the greatest importance because the parallel phenomena are to be found in our Western society, though fortunately not yet with the destructive effect that led to the German catastrophe." Wherever the relevance of speech is at stake, matters become political by definition, for speech is what makes man a political being. 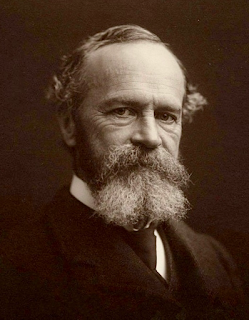 If we would follow the advice, so frequently urged upon us, to adjust our cultural attitudes to the present status of scientific achievement, we would in all earnest adopt a way of life in which speech is no longer meaningful. For the sciences today have been forced to adopt a "language" of mathematical symbols which, though it was originally meant only as an abbreviation for spoken statements, now contains statements that in no way can be translated back into speech. The reason why it may be wise to distrust the political judgment of scientists qua scientists is not primarily their lack of "character"—that they did not refuse to develop atomic weapons—or their naiveté—that they did not understand that once these weapons were developed they would be the last to be consulted about their use—but precisely the fact that they move in a world where speech has lost its power. And whatever men do or know or experience can make sense only to the extent that it can be spoken about. 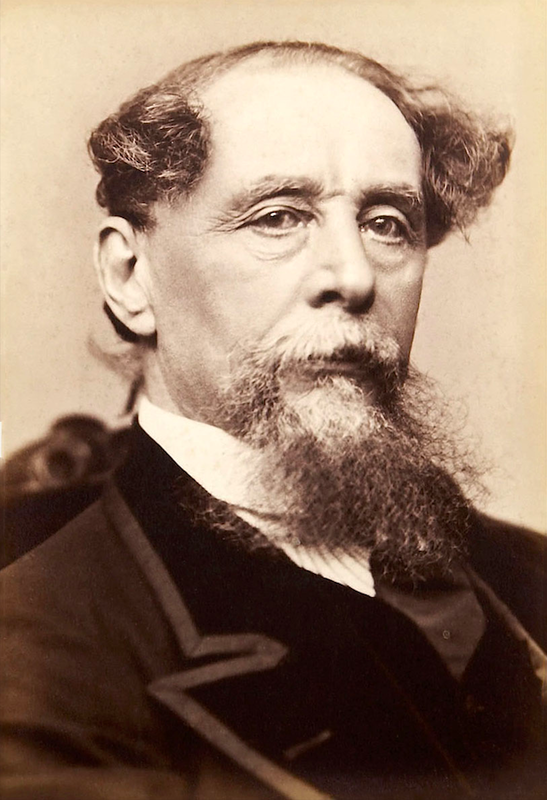 There may be truths beyond speech, and they may be of great relevance to man in the singular, that is, to man in so far as he is not a political being, whatever else he may be. Men in the plural, that is, men in so far as they live and move and act in this world, can experience meaningfulness only because they can talk with and make sense to each other and to themselves. Arendt has not made direct references to the politics of Albert Einstein, but it is true that Einstein’s political philosophy is atrocious. Today I read William James’s 1904 essay, “Does ‘Consciousness’ Exist?” In the early part of his essay, he declares that consciousness “is the name of a nonentity… a mere echo, the faint rumor left behind by the disappearing ‘soul’ upon the air of philosophy." There is… no aboriginal stuff or quality of being, contrasted with that of which material objects are made, out of which our thoughts of them are made; but there is a function in experience which thoughts perform, and for the performance of which this quality of being is invoked. That function is knowing…if we start with the supposition that there is only one primal stuff or material in the world, a stuff of which everything is composed, and if we call that stuff ’pure experience,’ then knowing can easily be explained as a particular sort of relation towards one another into which portions of pure experience may enter. The relation itself is a part of pure experience; one of its 'terms' becomes the subject or bearer of the knowledge, the knower, the other becomes the object known. Let the case be what it may in others, I am as confident as I am of anything that, in myself, the stream of thinking (which I recognize emphatically as a phenomenon) is only a careless name for what, when scrutinized, reveals itself to consist chiefly of the stream of my breathing. The 'I think' which Kant said must be able to accompany all my objects, is the 'I breath' which actually does accompany them. There are other internal facts besides breathing (intracephalic muscular adjustments, etc., of which I have said a word in my larger Psychology), and these increase the assets of 'consciousness,' so far as the latter is subject to immediate perception; but breath, which was ever the original of 'spirit,' breath moving outwards, between the glottis and the nostrils, is, I am persuaded, the essence out of which philosophers have constructed the entity known to them as consciousness. That entity is fictitious, while thoughts in the concrete are fully real. But thoughts in the concrete are made of the same stuff as things are. I don’t think James has given much of an explanation of what consciousness is in his 16-page essay, but this is a complicated subject—more than a century after his essay the psychologists and philosophers are still grappling with the subject of consciousness. "Experience has repeatedly confirmed that well-known maxim of Bacon's, that "a little philosophy inclineth man's mind to atheism, but depth in philosophy bringeth men's minds about to religion." In every age the most comprehensive thinkers have found in the religion of their time and country something they could accept, interpreting and illustrating that religion so as to give it depth and universal application. Even the heretics and atheists, if they have had profundity, turn out after a while to be forerunners of some new orthodoxy. What they rebel against is a religion alien to their nature; they are atheists only by accident, and relatively to a convention which inwardly offends them, but they yearn mightily in their own souls after the religious acceptance of a world interpreted in their own fashion. So it appears in the end that their atheism and loud protestation were in fact the hastier part of their thought, since what emboldened them to deny the poor world's faith was that they were too impatient to understand it." "What relation, then, does this great business of the soul, which we call religion, bear to the Life of Reason? That the relation between the two is close seems clear from several circumstances. The Life of Reason is the seat of all ultimate values. Now the history of mankind will show us that whenever spirits at once lofty and intense have seemed to attain the highest joys, they have envisaged and attained them in religion. Religion would therefore seem to be a vehicle or a factor in rational life, since the ends of rational life are attained by it. Moreover, the Life of Reason is an ideal to which everything in the world should be subordinated; it establishes lines of moral cleavage everywhere and makes right eternally different from wrong. Religion does the same thing. It makes absolute moral decisions. It sanctions, unifies, and transforms ethics. Religion thus exercises a function of the Life of Reason. And a further function which is common to both is that of emancipating man from his personal limitations. In different ways religions promise to transfer the soul to better conditions." "What is the secret of this ineptitude? Why does religion, so near to rationality in its purpose, fall so far short of it in its texture and in its results? The answer is easy: Religion pursues, rationality through the imagination. When it explains events or assigns causes, it gives imaginative substitute for science. When it gives; precepts, insinuates ideals, or remoulds aspiration, it is an imaginative substitute for wisdom—I mean for the deliberate and impartial pursuit of all good. 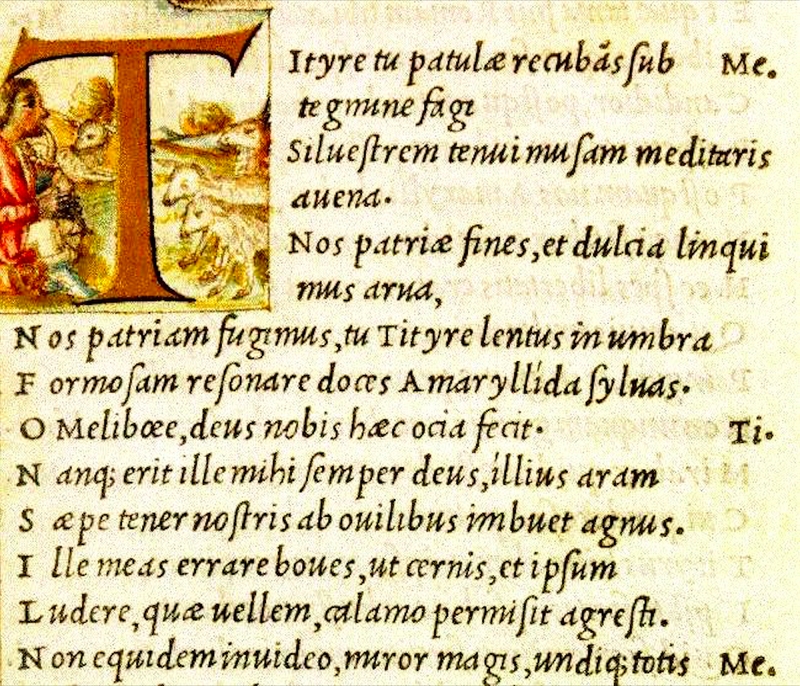 The conditions and the aims of life are both represented in religion poetically, but this poetry tends to arrogate to itself literal truth and moral authority, neither of which it possesses. Hence the depth and importance of religion become intelligible no less than its contradictions and practical disasters. Its object is the same as that of reason, but its method is to proceed by intuition and by unchecked poetical conceits." Thus, the term “Renaissance” was first used by French intellectuals in the nineteenth-century (almost 300 years after the Renaissance was over). Johnson notes that the “connection between the Renaissance and the start of the early modern period is more schematic than chronologically exact” and that there are problems in defining the chronology of the Renaissance itself. 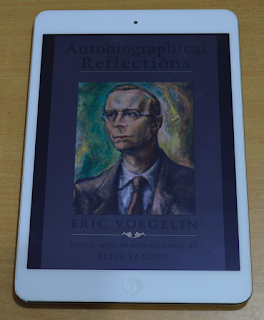 Voegelin commanded the attention and respect of students, and he presented himself as someone who knew his business. 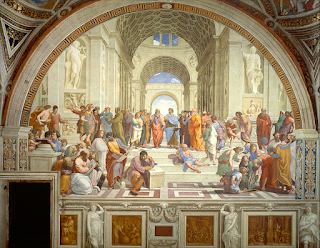 He based on a solid conviction that classical Greek philosophy is the foundation of political science: The lecture materials were presented from this coherent starting point. Devotion to truth and desire to communicate it to students illumined every lecture and discussion, with the exploration of questions constantly reflecting the tension toward the divine ground of reality as the decisive context for exploring the human condition and political issues. A sense of openness to the horizon of reality, and refusal to truncate reality or go along with reductionist construct of any kind whatever, encouraged students to engage resourcefully in the examination of complicated materials as partners in the discussion—rather than as mere spectators absorbing indifferent information. This, in turn, encouraged students sympathetically to involve their own common sense, intellectual, and faith experiences in understanding demanding material in personal reflective consciousness, implicitly somewhat on the pattern of the Socratic “Look and see if this is not the case”—i.e., by validating the analytical discourse through personal understanding and questioning. I think the theoretical analysis of politics that Voegelin offers in his book The New Science of Politics is really impressive. 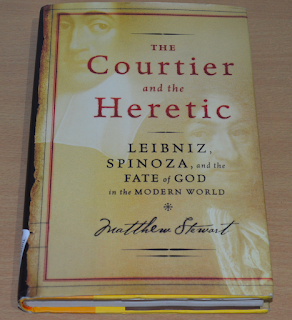 I am reading Matthew Stewart’s book The Courtier and the Heretic: Leibniz, Spinoza, and the Fate of God in the Modern World. Stewart is a good storyteller and the book is interesting, but I am reading it with some amount of skepticism because I am getting the impression that this is not an objective account of the two philosophers. 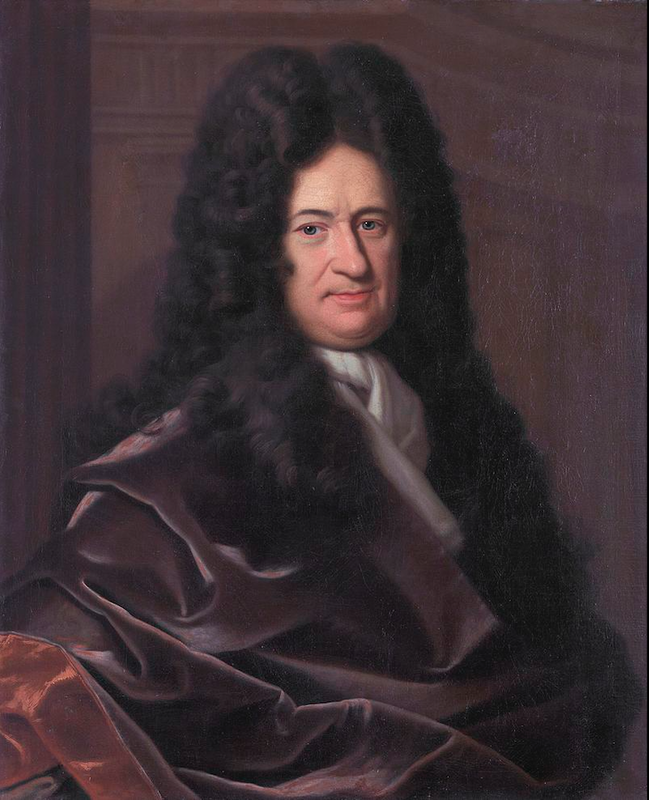 I am currently at page 60 and I have already come across several passages that are very unfair to Leibniz. 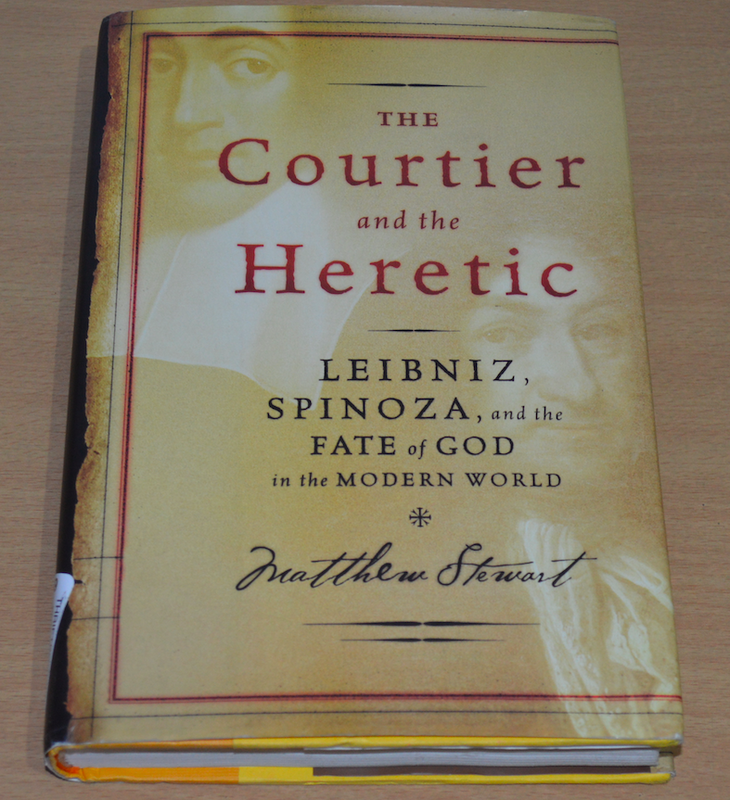 It appears that Stewart’s aim is to build up Spinoza by attacking Leibniz. Yet, in the privacy of his study, Leibniz crammed his notebooks with meticulous commentaries on Spinoza’s writings. He exchanged secret letters with his public nemesis, addressing him as “celebrated doctor and profound philosopher.” Through mutual friends he pleaded for a chance to examine a manuscript copy of the Ethics. 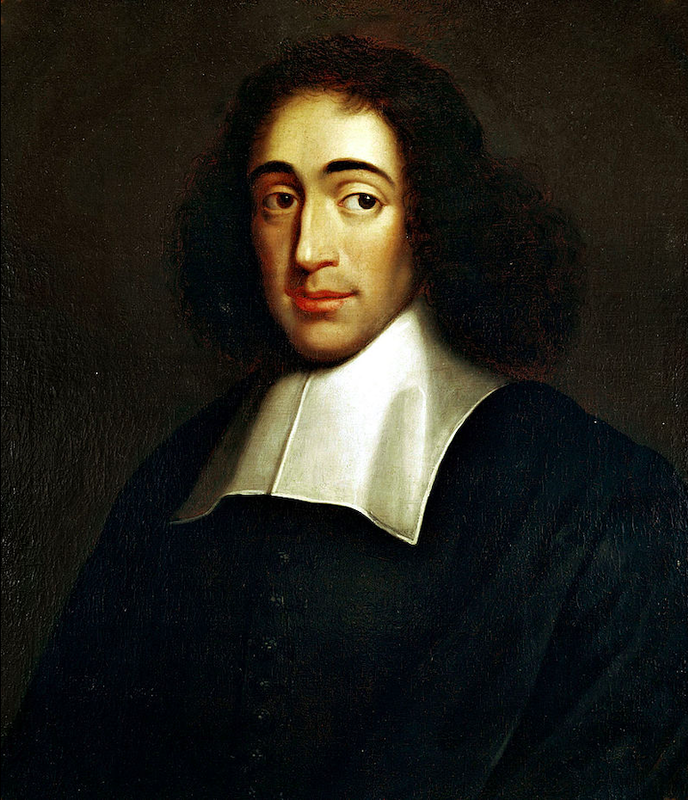 And on or around November 18, 1676, he traveled to The Hague and called Spinoza in person. Stewart is talking about the November 1676 meeting between the two philosophers in such a manner that he makes Leibniz look like a spineless hypocrite who used to criticize Spinoza in public while admiring him secretly. Other historians of philosophy have given a more balanced account of their meeting. In the last 250 years, there has not been a single atheistic movement that has not developed its own theology. In the 18th century, the French Revolutionaries had their “cult of reason” and “cult of supreme being”; in 19th century, Auguste Comte’s Positivists had their “religion of humanity”; in the 20th century, the Soviet Communists had their own Marxist theology and communist gods. The atheist thinkers know that you can abolish religion, but theological philosophy cannot be abolished because it is a basic human need—so they operate by replacing religious theology with their own secular theology. 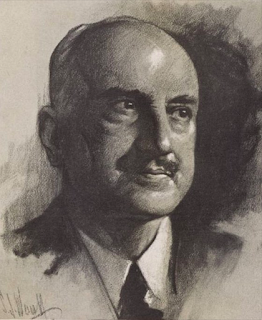 Laski was a communist theologist, and Stalin was his God—he could not see anything wrong in the actions of his God. 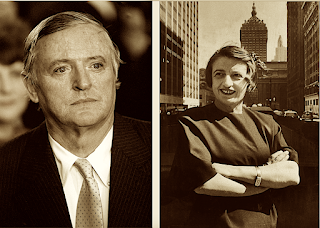 Why did William F. Buckley Jr. think that Ayn Rand was not a good inspiration for the conservative movement? 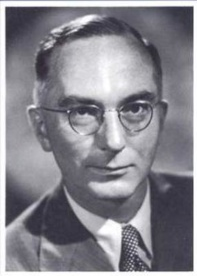 He has claimed that when he met Rand for the first time, she greeted him by saying, “You are much too intelligent to believe in God.” In 1957, he published in his National Review a negative review of Atlas Shrugged (written by Whittaker Chambers). I think Buckley did not like Rand’s Atlas Shrugged because this book makes a strong case for “immanentizing the eschaton.” The novel’s protagonist John Galt stops the motor of the earth with the conviction that once the society has collapsed, he will create a better world, a new Atlantis or heaven, which will be populated with human beings who stand for reason, science, and individualism, and are perfect in every possible way. Rand has given an account of what Galt’s Atlantis will be like in her description of Galt’s Gulch where perfect human beings live in perfect happiness. What Galt is after when he talks about “stopping the motor of the world,” is not just political change, he demands a total revolution. He wants to radically transform everything. 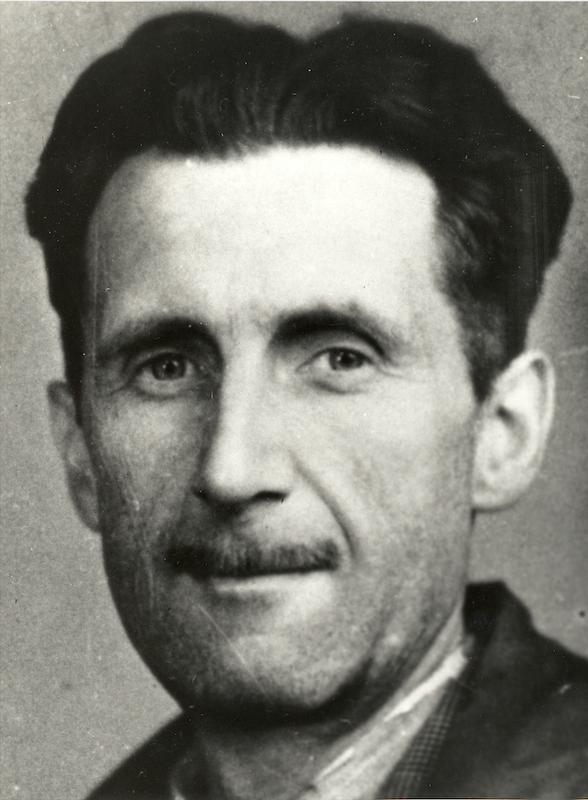 He will have nothing to do with traditions; he rejects the family system; he demands rejection of not just religion, but of every religious person— even if the religious person is your best friend or a close relative, you have to reject him in order to qualify for Galt’s utopia; he wants a complete and instantaneous curtailment of the entire government; he wants every human being to be a man of reason, science, and individualism. 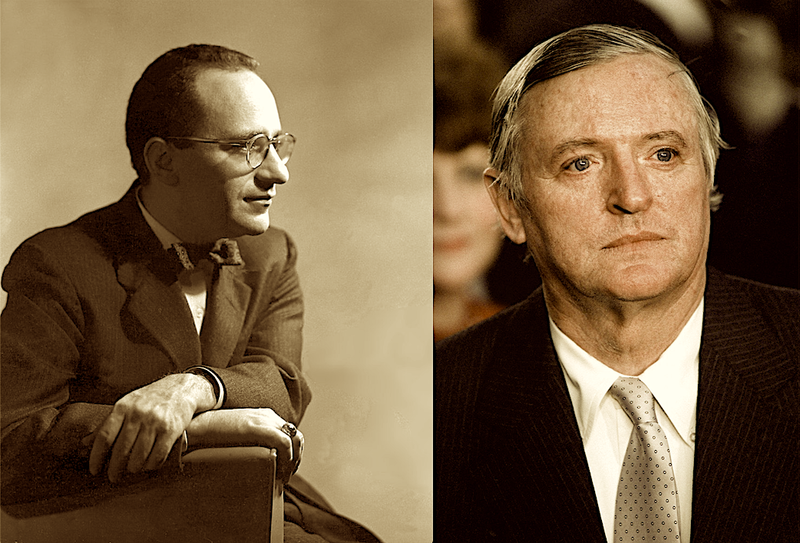 Buckley must have thought that Galt’s method (or Ayn Rand’s method) for creating a better society entailed immanentizing the eschaton. In Voegelin’s lexicon, Rand could be categorized as a gnostic thinker. Voegelin applies the category of gnosticism to refer to the secular revolutionary movements which promise to create a heaven on earth by a total obliteration of past culture. In his books The New Science of Politics and Science, Politics, and Gnosticism, Voegelin offers a good analysis of the gnostic movements of the 18th and 19th century which were aiming to create a heaven on earth but succeeded in creating an unimaginable hell.